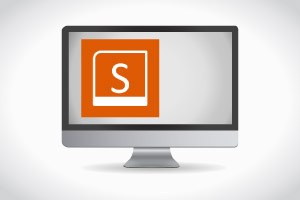 Learn more about using Microsoft SharePoint 2010 for collaboration on the cloud. Microsoft SharePoint 2010 is a popular Web application platform that allows many people to collaborate on a document at the same time. SharePoint allows you set up Web sites to store, edit and create documents from the Microsoft Office suite. Using the application, you can read and enter and change data on a database created in Access and which is stored on SharePoint. In this course you will learn how to store, view, edit, access and present documents, information and media on SharePoint. You will learn how to create your own “My Site” that gives you a place to manage and store your documents, content, links and contacts. The course also shows you how to give permission to others so that they can find your content and information. You will learn how to quickly and easily search for content which you can store in lists, libraries, sites and collections.